One of the many perks that Downtown Las Vegas has over the Strip is affordability. You can still find the glitz and glam of neon lights and feast at many great bars and restaurants without having to shell out the big bucks. But just because you are on a budget doesn’t mean you should miss out on great drinks and foods. Book your pub crawl tour in early afternoon to experience the hot spots with the best happy hour menus. If you happen to find yourself in Downtown Las Vegas on a Tuesday, you’ll definitely need to stop at Beauty Bar. While there is a five dollar cover charge to enter, you’ll certainly get your money’s worth once you get inside. From 6 p.m. to 9 p.m. Beauty Bar hosts Nickel Beer Night. You read that correctly! The beer is priced at only five cents on Tuesdays. We cannot think of a better stop to make for bargain booze on your Downtown Las Vegas bar crawl. Discover one of the best kept secrets of the locals: the bar inside of Fremont Casino. Here you can find great drinks at a reasonable price. Their signature specials include two dollar Heineken and Corona beers, two dollar Jäger shots and 99 cent margaritas. With these selections, this is one of the best happy hour specials in Downtown available. Don’t miss the wonders of the Commonwealth on your Downtown Las Vegas adventures. Enjoy delicious handcrafted cocktails, lively music and a great view of Downtown Las Vegas from their rooftop patio. 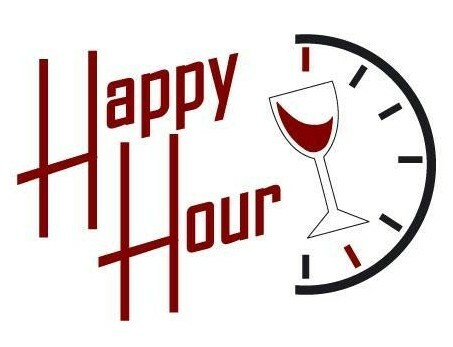 On Wednesdays through Fridays, from 6 p.m. to 9 p.m. you can enjoy their happy hour specials like three dollar wells, domestic beers, five dollar craft brews and Ketel One and Crown Royal drinks. If you are looking to make the rounds through Downtown Las Vegas without spending too much, you can make it to every stop with Vegas Pub Crawler. We take care of the traveling and navigating, all you have to do is pedal along with your friends. Traveling with Vegas Pub Crawler also has its perks. Even if your tour misses happy hour, many of the bars offer special discounts to our cycle companions, meaning you’ll save a few bucks just by riding with us. Don’t forget to hit some epic meal spots after your pub crawl. Book today to start planning your night on the town with a budget.